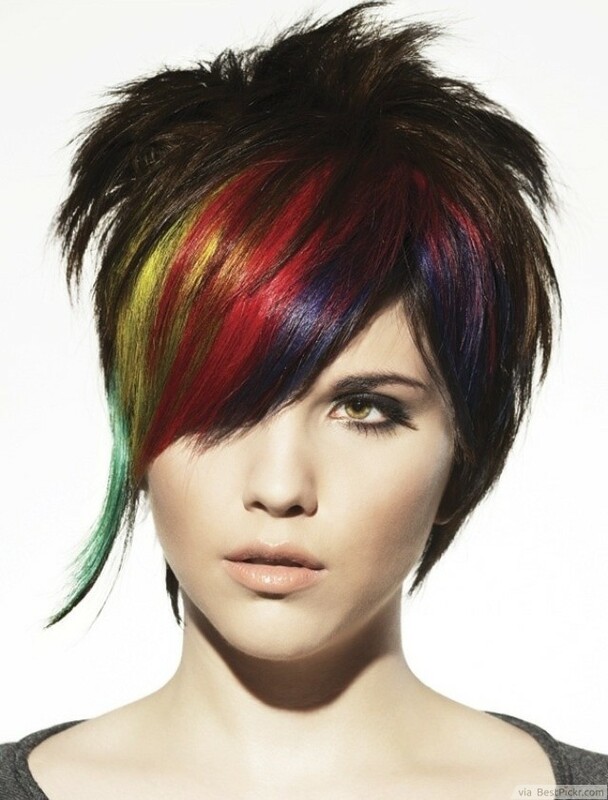 This is a really cute hairstyle that combines a no fuss haircut with an injection of vivid color to show off your bold personality. The haircut which is a slightly overgrown pixie, features long side-swept bangs. You can play with a ton of texture in the back and still have and experiment with funky colors in the front. It makes for a fun and feminine look!